Location, Location, Location. 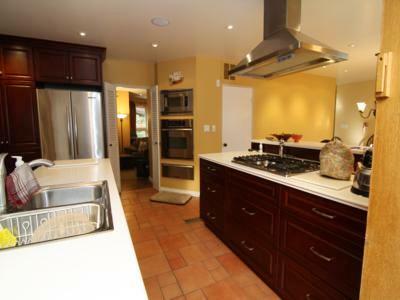 One of the most appealing features of this home is it's central location. This is especially true for the Olympic venues. 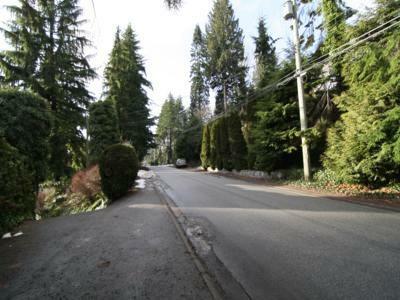 Downtown Vancouver is 15 minutes away by bus and Cypress Mountain is 20 minutes away. World famous Whistler Mountain is just over an hour away. 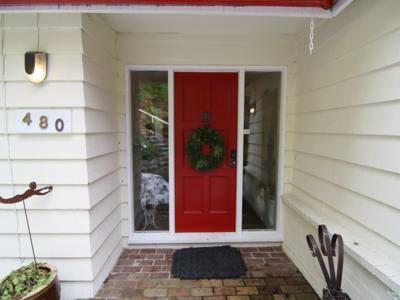 Guests can walk to a large shopping center, Park Royal, or travel via convenient local bus from just outside the garden entrance of this home. There are excellent bus connections available at Park Royal to all lower Mainland locations. 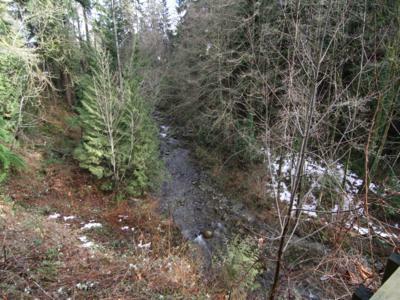 Many hiking trails are close by, including the Capilano Pacific Trail, the Seawall Walk all along the oceanfront to Ambleside and Dundarave, and the 'Grouse Grind'. Famous Stanley Park is just minutes away over the Lions Gate Bridge. 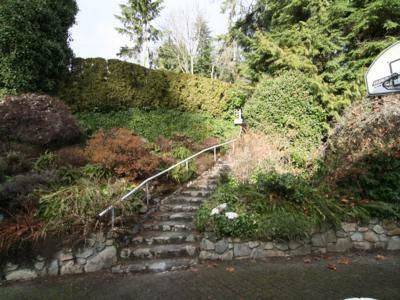 As for the home itself, it is hard to imagine that you are so close to Vancouver when you step inside this quiet, private home that feels like a country retreat. 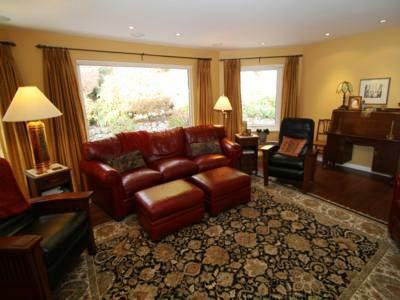 It has been recently renovated to maximize comfort and make the most of its peaceful location right beside Brothers Creek. 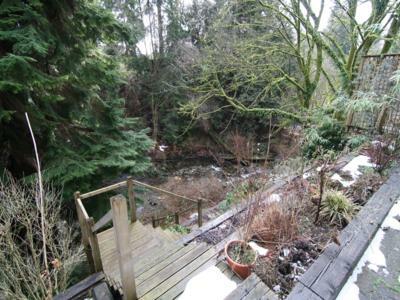 You can walk out onto a very large deck, and down the stairs to swim. Guests can view the natural environment, terraced gardens and listen to the creek from almost every room. 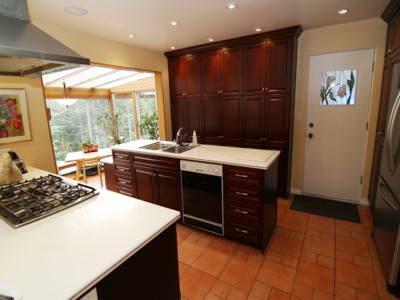 In fact, this home features a sun room attached to the open-plan kitchen and dining room. 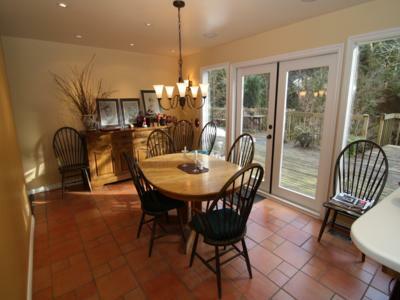 French doors flanked by extra windows increase the pleasure of meals in this beautiful setting. The dining room table can seat ten people. 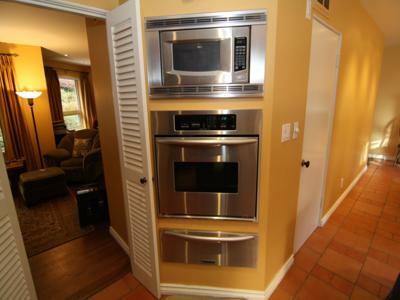 The kitchen features new stainless steel appliances, cabinets and Corrian counter tops. 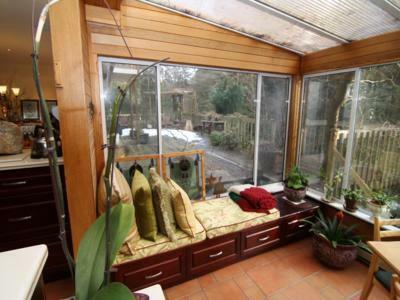 There is also a more intimate dining area in the sun room, and a comfy window seat for enjoying a peaceful moment. 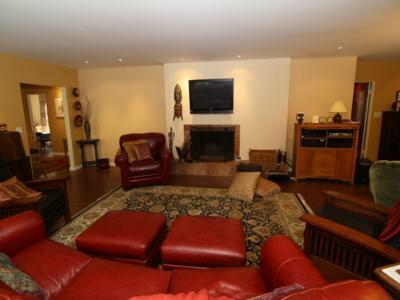 This home welcomes all with an inviting entry hall, hardwood floors and a large living room to seat many guests. 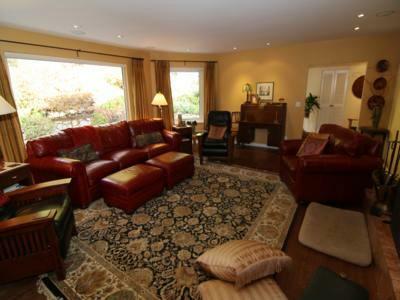 New leather furniture, two comfy reclining chairs and a wood burning fireplace invite relaxation and conversation. There is a fabulous surround-sound stereo system for the new flat screen HDTV, PVR, CD and DVD players. Guests can easily record their favourite TV shows and sporting events for later viewing with an easy-to-use universal remote. 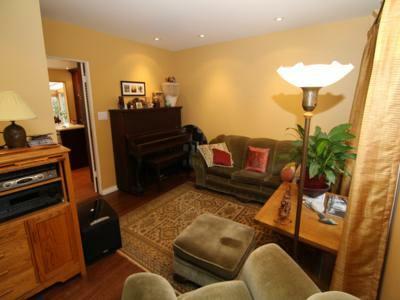 The living room also has a second, more intimate seating area with a piano and outdoor view. 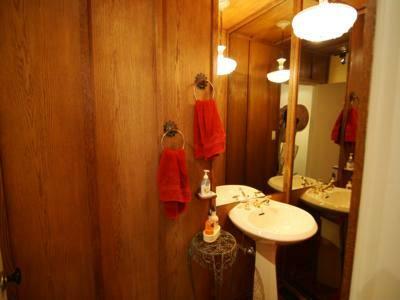 The main floor has a powder room with toilet and sink for guests. French doors flanked by extra windows to see the wild outdoor view also encourage relaxation in the queen sized bed of the master bedroom. 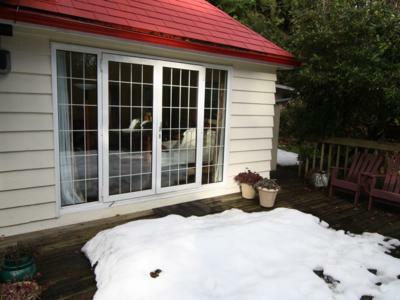 The attached bathroom has a deep soaking bathtub, and glass-enclosed shower. 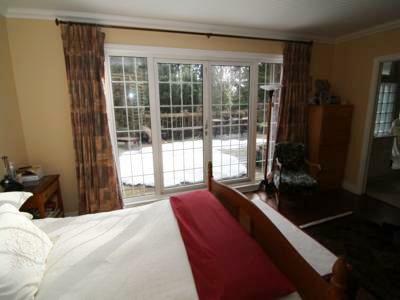 There is another bedroom on the main floor with 2 single beds. Upstairs the view can be enjoyed from the deck and French doors of a large bedroom with a queen sized Murphy bed and a single bed. 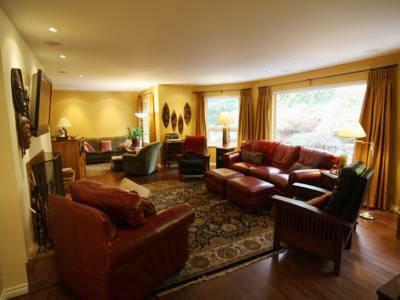 In addition cablevision, wireless internet access throughout the house and a desk are available for your use. 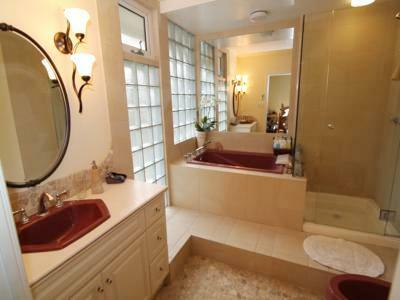 You can relax in a double jacuzzi bathtub or the large shower of the upstairs bathroom. This room has lovely view windows, two sinks and separated laundry facilities washer and dryer. Also on this floor is a bedroom with a double bed and a large closet in it. Another private bedroom has a single bed. 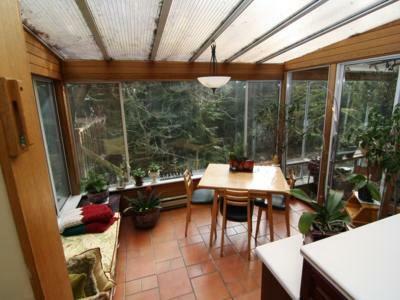 Forested tranquility and a comfortable home welcome you. 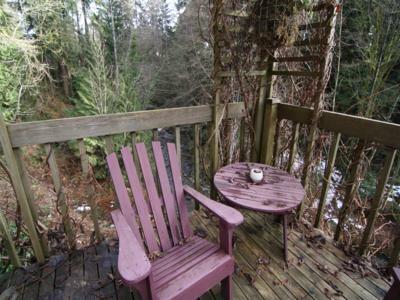 This is the perfect place to escape the hustle and bustle of busy city life, and yet be close enough to easily access all the attractions beautiful Vancouver has to offer.